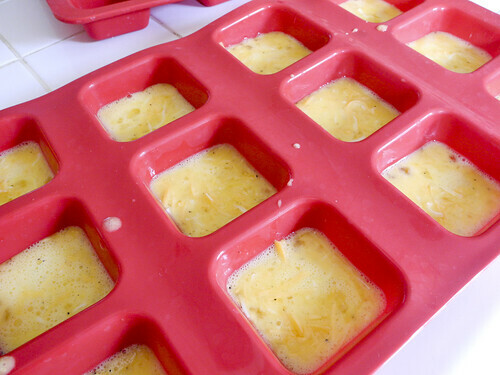 I was so excited I got to use my new silicone muffin pans to make these little yummies. 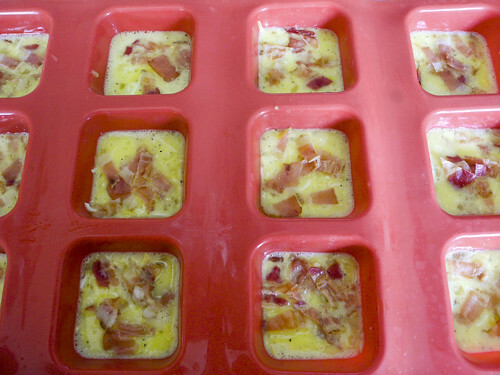 I had been really wanting to get some silicone pans because egg is so hard to clean off metal pans! But I wanted to start making mini frittatas. These little beauties slipped right out of the pan! If you don’t have cool silicone pans like these I would highly recommend you get some Handi Foil muffin tins! That way you have a no clean, quick and easy way to make this recipe. 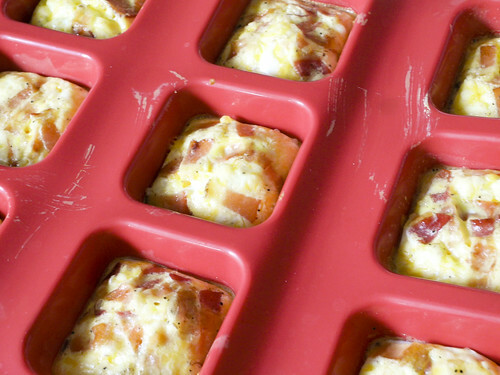 Handi Foil also has some great little storage containers with lids that you can freeze these in to pull out and reheat later. 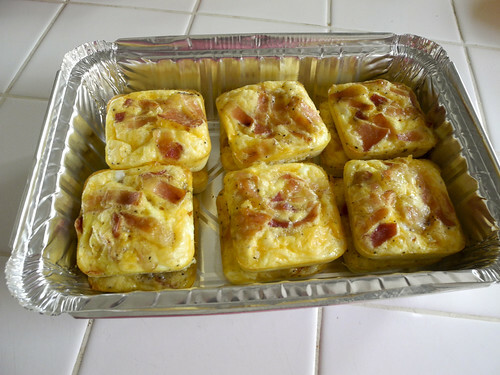 The mini frittatas would be great for a holiday breakfast or a quick appetizer. Place in oven at 350 degrees for 30 minutes. If you have them in two layers like I do in the Handi Foil pan at 15 minutes quickly separate the squares and make sure the cold sides are on the bottom and top of the pan. Yummy Pepper. I’ll put on my to try list. I love quiche anyway. I’ll have to try out the silicone pan. What a neat idea.